Malaysians will be celebrating the Hari Raya Aidilfitri this coming weekend and everyone is expecting the highways to be filled with cars in the next few days. In fact, many Malaysians would be planning their balik kampong exodus starting Thursday as it is a school holiday for most. If you are heading towards the PLUS (Projek Lebuhraya Utara-Selatan) expressway, do not go out blindly. You should take note on the TTA (Travel Time Advisory) which will help to ease the congestion of the traffic on the highway. The TTA has been implemented in the past few years and it surely has changed the balik kampong exodus leading up to Hari Raya. According to Mohammad Fuad Khusairi, the COO of PLUS, it has helped Malaysians to travel better and with ease. The Hari Raya holidays will see PLUS highway accommodating up to 1.4 million vehicles per day. On normal days, the expressway ferries 1.1 million vehicles. Essentially, the TTA is basically staggered travel times which are recommended for vehicles travelling across the states in Peninsular Malaysia. 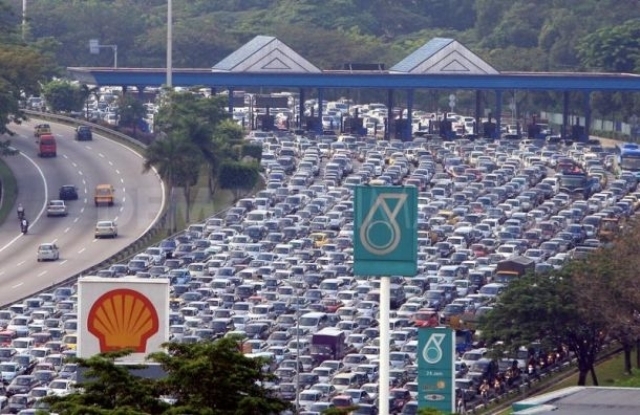 PLUS is expecting the number of vehicles to be at its highest on 17 and 18 August and this is where those who are returning to Kedah, Perlis, Penang and Johor to use the expressway before 12pm. Those who are heading to other destinations could do so between 12pm to 3pm. For more information, refer to the chart provided.